How do you say goodbye to a Boston sports legend like David “Big Papi” Ortiz? ’47, the Boston-based sports lifestyle heritage brand dedicated to fan apparel and accessories, wanted to honor the slugger’s last season in a big – and totally unique – way. The brand’s challenge was to drive sales for its David Ortiz special edition consumer collection and pop-up shop, as well to position the relationship in a way that cemented brand awareness in both the Boston market and on the national stage. Ortiz is one of the most respected players in Major League Baseball and his brand power was at an all time premium in his 2016 retirement season. ’47 wanted to execute a press stunt in the form of a retirement homage that would be first-to-market, and first of its kind – a headline-grabber that would outshine the competition. To back this up, the brand would execute some point-of-view meet and greet promotions that would tie the brand’s heritage to this beloved athlete’s career. 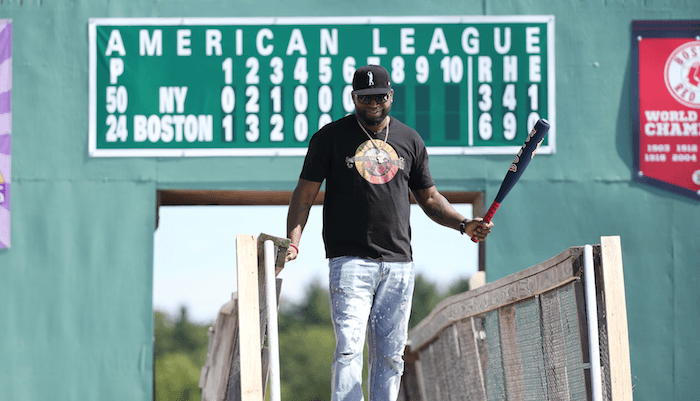 TURNER, ’47’s agency of record, sought to produce an original tribute to Ortiz that would capture the attention of all Boston local media, as well national sports and lifestyle media, and tie in with The David Ortiz Children’s Fund. 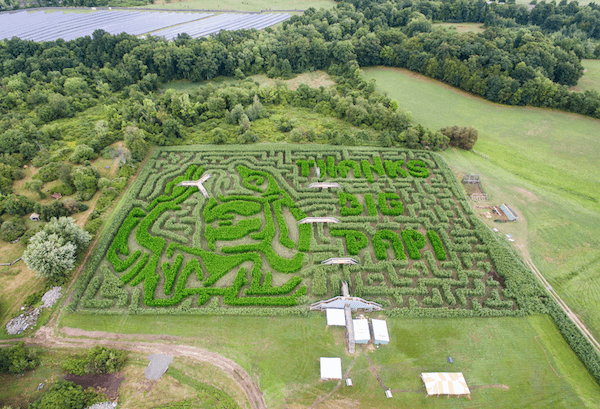 With fall approaching, our sports marketing and experiential team worked with a farm just outside of Boston to create a Big Papi homage in the form of an eight-acre corn maze. 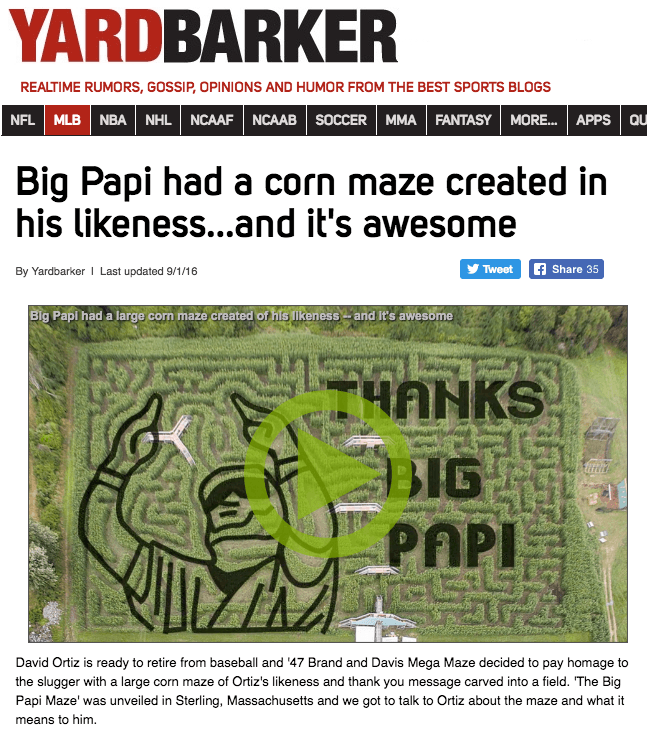 Designed in Spring 2016 and perfected/cut towards the end of the Red Sox’s regular season, the maze featured an iconic image of Ortiz pointing to the sky – his signature celebratory move – and included a ’47 logo, along with the words “Thank You Big Papi.” During the “corn cutting” process, TURNER coordinated a still motion drone video to capture the process and final result. On August 31, 2016, Ortiz visited the farm for the maze’s unveiling with his family and 100 beneficiaries of the David Ortiz Children’s Fund, which is committed to helping children in New England and the Dominican Republic. More than two-dozen cameras and hosted media attended the special event. 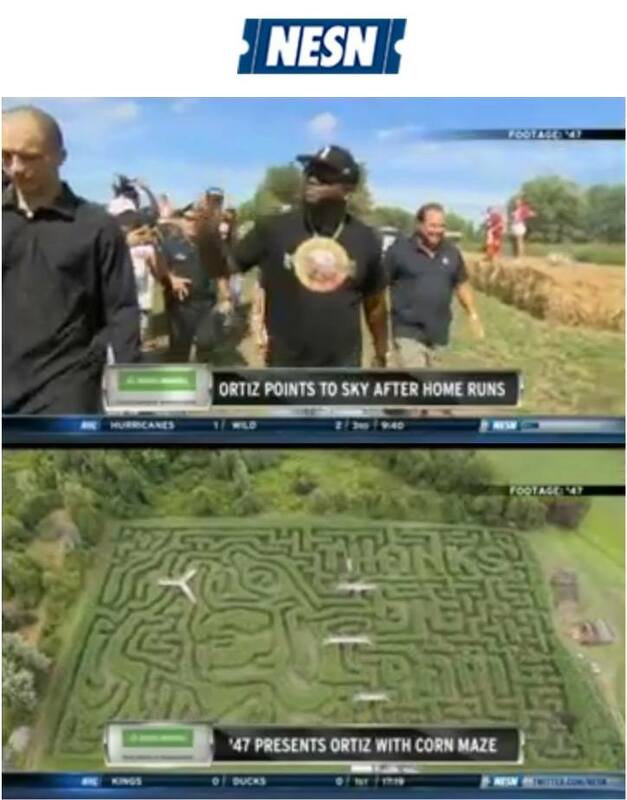 Ortiz officially opened the maze by swinging his bat at a corn stalk, executed a press conference, and flew over the corn maze for a bird’s eye view, accompanied by hosted members of the media. 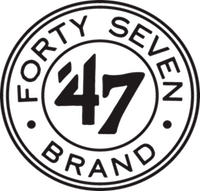 ’47’s iconic logo and imagery was worked into not only the corn maze design itself, but all the product Oritz and his guests wore, the site signage, outdoor advertising in around the Boston area, and backgrounds for all press interviews. TURNER handled all talent and commitment coordination between the Ortiz team and the brand, including management of athlete hospitality, scripting key points, media training of key messages, coordination of press line and press conference, staffing and coordination on site including security detail and conversions. Ortiz was blown away by the event and execution, the first of dozens of tributes to follow in the last weeks of his Major League career. One month following, TURNER coordinated an appearance with Ortiz in ’47’s “Big Papi Pop Up Shop” at Fenway Stadium. ’47 executed a “Share your Big Papi Moment” via its social channels, as well as Ortiz’s channels, for a chance to meet him in-store. Five winners won a meet and greet, and a FOX Sports reporter conducted a personal sit-down to walk through the beautifully curated shop with ’47’s Principal Bobby D’Angelo and Ortiz himself. The piece delivered optimal message pull through and execution. TURNER set the bar high for earned media, and hit a Big Papi-sized home run in the process. Dozens of national sports and lifestyle publications, blogs and independent influencers reported on the tribute, crediting the ’47 brand for execution. From USA Today, ESPN, and the Associated Press to FOX Sports and the Boston Globe, the Ortiz event garnered more than 100 unique stories and more than 1.6 billion reported impressions.